Can I save a little money and do the siding installation to update my home by myself? The answer is a resounding NO! Especially if you are using the fiber cement siding that is so prevalent these days. Consider the following facts. Fiber cement siding is a wonderful product that is resistant to termites, moisture, rot and, most importantly, non-combustible. It doesn’t burn! It’s durable, fade-resistant, and comes in a wide variety of colors or can be painted, or repainted on-site to suit any design scheme. It can also be manufactured to look like bricks, shingles or clapboard. The product is made from a combination of cement, sand and cellulose fiber. The cellulose can come from a variety of recycled wood materials. It’s an energy-efficient product to make and it provides the homeowner with energy efficiency for heating and air conditioning. The material used in manufacturing fiber cement siding makes it quite heavy. It’s dimensionally stable and it doesn’t flex. 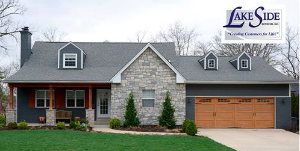 While these properties are what makes fiber cement siding a long-term siding solution for your home, 25 years or more, it also explains why you need qualified installers to install it. Besides needing special heavy-duty nailing guns and other expensive tools, you need a lot of experience re-siding buildings in general, as well as experience with fiber cement siding. 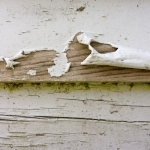 The siding is very hard and brittle. It tends to split if nailed in the wrong place. You will need a dust mask to keep from inhaling the dust. It’s definitely a two-man job so the siding boards don’t crack when you’re hanging them. So save yourself all the hassle of spending money on good fiber cement siding and then spending some more because you have too many damaged pieces. Contact us at Lakeside Exteriors to beautify and protect your home with fiber cement siding installed by the pros. 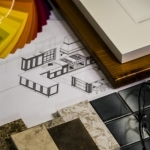 Since 1997 we’ve been improving homes in the greater St. Louis area with our team of trained craftsmen who work directly for us.